Winter and spring clearly have an unstable relationship; the calendar means nothing. Winter gets lackadaisical, and spring grabs the stage. 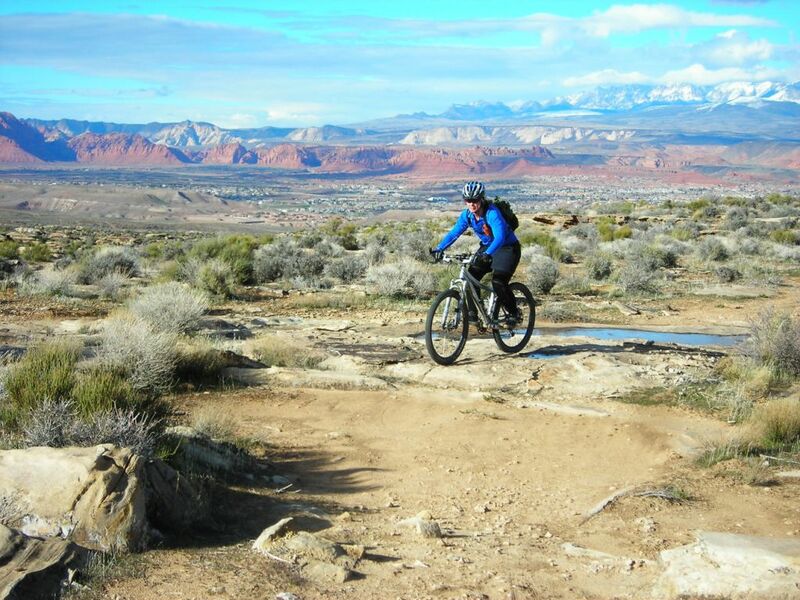 Spring turns its head, and winter jumps right back into the picture. March, January, May, February...they all end up feeling (and often looking) the same. It goes like this well into June here in the Northern Rockies. This year, I became schizophrenic right along with the feuding seasons. 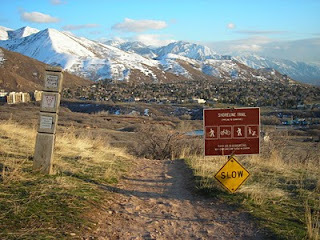 Bike rides in January & February; skiing in April; trail running in March; who knows what May holds...maybe snowmobiling. I thought I'd better document it for the ages, so here you go, in pictures. Skiing conditions have been marginal all year, with the exception of a few days. Word is that yesterday (April 1, for real) was maybe the best day yet. Joanne and I made it out for a tour with Bridger last weekend, and he smiled. 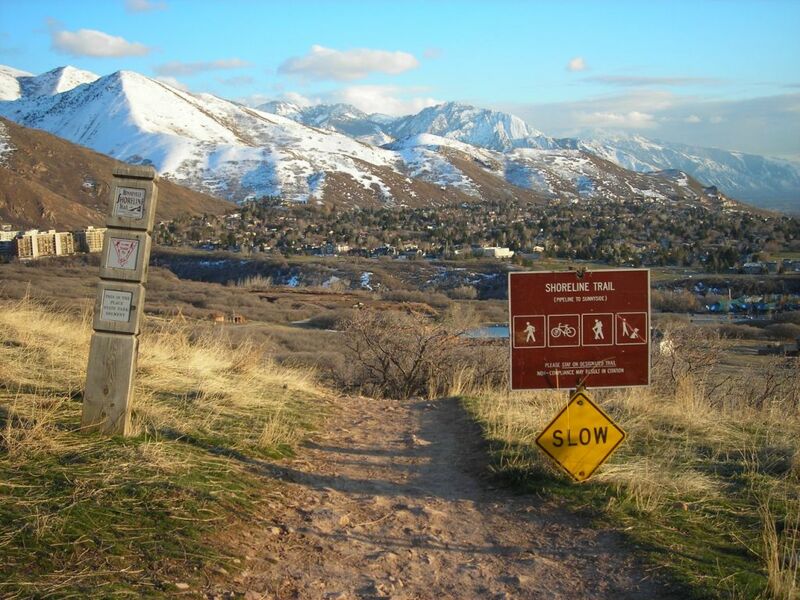 By early March, it appeared things were melting off in the Salt Lake foothills. I pounced, and started trail running. By the end of March it felt like January again, and we were all back to skiing, sometimes while driving. It's never boring. 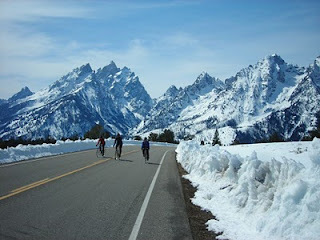 A late March highlight was biking in Teton National Park. This is a bucket list kind of thing to do; the roads are plowed, but no vehicles allowed yet. Absolute bliss. Meanwhile, Park City ski area just announced that it will remain open an extra week, thanks to recent and forthcoming storms & cold. So, keep the boards out until April 18, at least! I agree! It's tough here when the weather can't make up its mind. 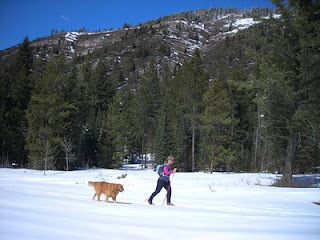 A few weeks ago it looked like the snow had finally lost its icy grip on targhee and I was done hiking for the season. Now there is even more up there (going hiking for some sick lines today)! This place is definitely not for those needing consistency, but if you have a sport for any weather you can get by just fine. I enjoy your writings, keep up the good work and positive spirit!